One of my favorite quotes is by Theodore Roosevelt, an excerpt from his famous “Man in the Arena” speech, which he delivered at the Sorbonne in Paris in 1910. Roosevelt’s message is both powerful and profound - The only failure is in the failure to participate. The title of “loser” has nothing whatsoever to do with the outcome of the contest itself; that description could be reserved for the critics who fail to ever try. There can be no failure in pursuing ones goals, only lessons learned. And those lessons are profound, indeed. The strength, insight and wisdom that accompanies coming up short yet picking oneself up and continuing on is immeasurable. 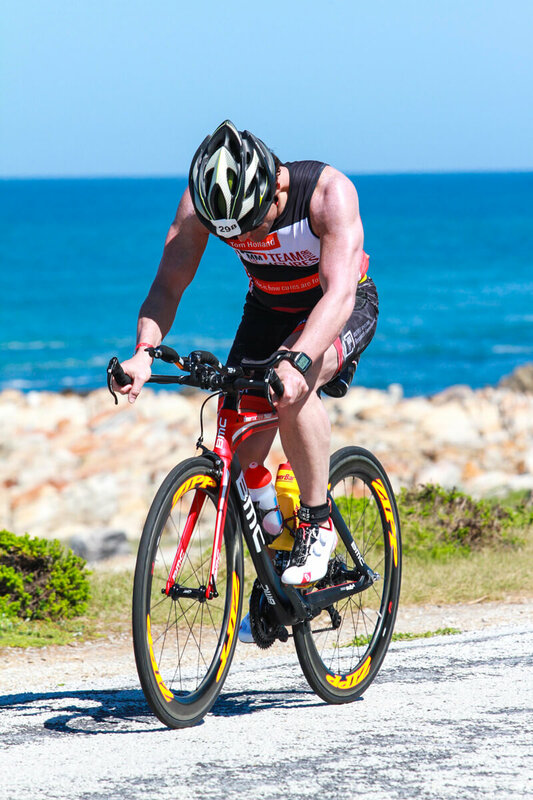 This photo is from IRONMAN South Africa, 2015. While I have done some pretty tough races around the world in places like Malaysia, China, South Korea, and Brazil - this one was particularly brutal from the very start. Many things went wrong and I didn’t think I would make it through the 112-mile bike ride, much less the 26.2 marathon afterwards. But I kept moving forward and I finished. It was one of my slowest races yet one of my most meaningful. Too often in sports, fitness and in life we lose sight of this fact. When it comes to our health, we want the greatest results with the least amount of effort for the lowest price. In business and work, we desire to become millionaires with no money down in just ten minutes a day. In sports, we need trophies, accolades, prizes, ribbons and titles. We demand to know the score, our overall times, our finishing places, how we compare to everyone else. We insist upon rewards. Less and less value is placed in the mere act of participation for participation’s sake. Yet it’s not whether you win or lose, or how you play the game, but that you chose to play at all. And you gave it your all, regardless of the outcome. A very simple concept; yet embraced and practiced by so few. Push your own limits. Take pride in choosing to act, deciding to participate. Set goals, yet learn to savor the journey. Stop waiting, get in the arena and begin your personal experiment of one. You’ll be amazed at what you discover along the way.